Our offered quality collection of Tensioner Bearings superiorly used in various industrial equipments to ensure their proper functioning. 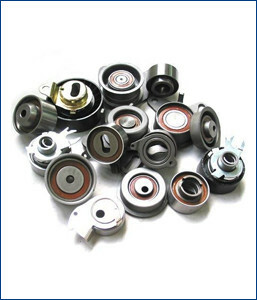 Tensioner Bearing is extensively used in contemporary cars, where the cam belts must be changed on a regular basis and part of these repairs require tensioner. These products are manufactured are best quality of raw material, With this principle, a lot of industrial machines are able to perform even the most complex and heavy industrial work. We offer these tensioner bearings in market leading price rates.